One of the most historic light stations in the United States is located on a 50 acre rocky island off the coast of Cape Ann, Massachusetts. Ships had fished and traded in the waters off Gloucester and Rockport since the early 1600’s and the area’s economy was tied to the sea. Early on, shipping interests realized the importance of lighting the shore and aiding area navigation. This led to the establishment of the twin lighthouses built upon Thacher Island which have guided ships for over 200 years. 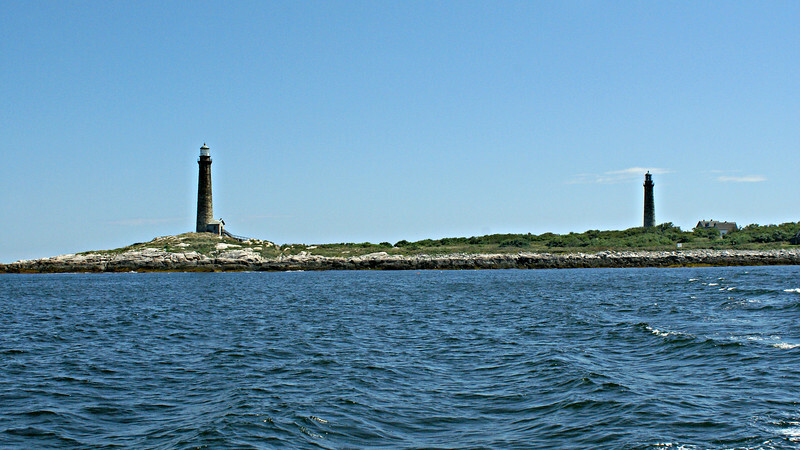 Thacher Island was named after a famous shipwreck which occurred in August 1635. Anthony Thacher of Ipswich along with his wife, four children and 17 others were sailing aboard the ‘Watch and Wait’ on their way to Marblehead when a sudden storm struck. Everyone on board was lost with the exception of Thacher and his wife who washed up on an island. In 1637 in order to compensate Thacher for his loss the General Court of Massachusetts awarded him the island which bears his name.